The Hotel Mercer 5* project has consisted in the transformation of a XIX century palazzo into a boutique hotel with only 12 rooms. The axialidad of the plant of the building was reinforced when moving the second patio, the backyard, to the axis of symmetry of the building. Another important element was the roof, where a small pool and rest areas have been integrated for hotel users. Cruz y Ortiz was responsible of the execution and completion of the works, but not of the interior design. 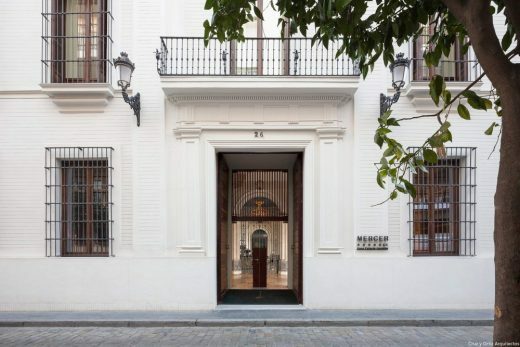 The Hotel Mercer Sevilla has been classified by Tripadvisor as the best luxury hotel in Spain.